Kimi no Kokoro wa Kagayaiteru kai? (君のこころは輝いてるかい？ lit. Is Your Heart Shining?) 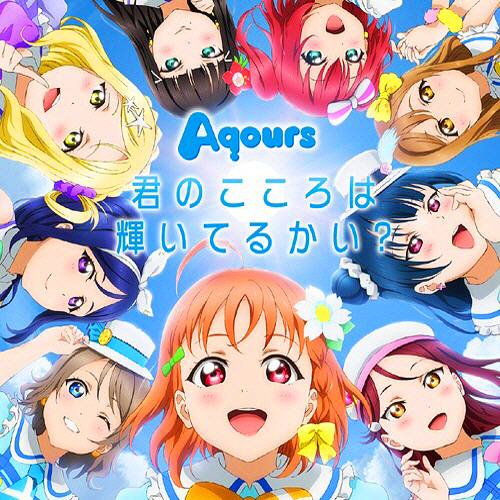 is Aqours' first single. It was released on October 7, 2015 on both a CD and Blu-ray disc or DVD. The song is written by Hata Aki, composed by Mitsumasu Hajime and arranged by EFFY.